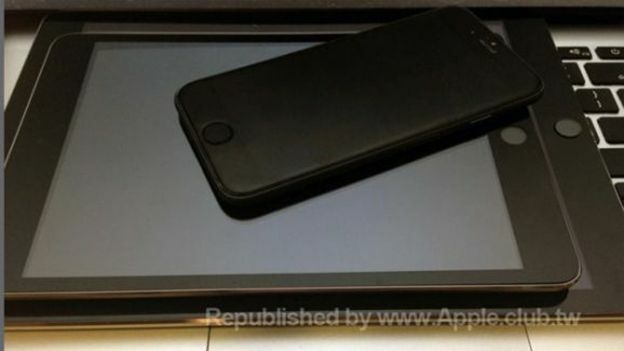 A picture purporting to be of the iPhone 6, iPad Mini 3 and iPad Air 2 has been published online. If genuine, it would suggest the iPad Mini 3 will come with the same fingerprint scanning technology featured in the iPhone 5S. Both the iPad Air 2 and iPhone 6 are also rumoured to be coming with fingerprint scanners. The iPhone 6 model shown in the picture is the larger 5.5-inch model, according to Appleclub.tw. The blog was the first to publish the picture online. The image leak comes shortly after Apple confirmed that it is opening its fingerprint scanning technology to third parties. Paypal is widely expected to be the first company to be announced as a partner later this year. Paypal already has a deal in place with Samsung to offer similar functionality. Apple is expected to unveil the iPhone 6 in September, followed by a launch in October. October is also likely to see Apple unveil the iPad Air 2 and iPad Mini 3.